ClassPass was founded in 2013 by Payal Kadakia when she was looking for a good dance class after work and couldn’t find one that she wanted or worked with her schedule. They work on a credits based system which doesn’t put a limit on the number of times you can visit a certain studio, but the credit rate might increase if you frequent a certain spot very often. With more Malaysians wanting to live a healthier lifestyle, boutique gyms have been popping up all over Malaysia offering different courses and classes. Fitness junkies are beginning to ditch traditional gym memberships as they don’t want to be tied down to membership commitments and contracts. We’ve seen traditional gym models like True Fitness Malaysia shut down their operations last year, though there were also other factors at play. “Fitness enthusiasts seem to be gravitating towards subscription-based fitness services as they enjoy the freedom and variety that comes with it,” said Fritz Lanman, CEO of ClassPass as he drives further the point that subscription services are the go-to now. Riding on this trend of subscription-based fitness services are multiple startups such as KFIT and Singapore-based GuavaPass who have made their presence in Malaysia. Joining this market recently is New York-based ClassPass, who decided to venture into the Malaysian market as they saw an opportunity with the studios they visited and worked out at. “It became a no-brainer for us given the fantastic quality of instruction and studio facilities we saw from some of our key partners in the market,” said Christine Ng, the ClassPass Regional Marketing Director for Southeast Asia & Hong Kong. ClassPass was founded by Payal Kadakia in 2013. The idea of ClassPass came to her when she was looking for a good dance class after work, and couldn’t find one that she wanted or worked with her schedule. This spurred the thought—working out shouldn’t be hard, so what if there was a way to make it easy? As a MIT graduate with some tech experience under her belt, she later teamed up with her co-founder Mary Biggins who had marketing background with brands like Disney. “The initial plan was to build a search engine and reservation system for fitness classes and of course, since then, it’s blossomed into what we are today, bringing together a community of people to be active and live a happy and healthy life,” added Christine. The membership offers on ClassPass. With the likes of KFIT and GuavaPass in the Malaysian market, ClassPass has to prove that they have what it takes to be the number one subscription-based fitness service in Malaysia. They pride themselves in offering users premium workout experiences. This feature is quite different compared to KFIT and GuavaPass; both have a certain limit towards how many times users can visit a particular studio in a month. If users want to continue to use the studio after exceeding the limit, they will have to fork out more. Another selling point that ClassPass is proud of is that its credits can be used in over 50 cities around the world, making it a convenient choice for those who travel a lot for work or those who want to stay fit during their holidays. “We’ve signed over 140 locations here in KL and counting. Who knows, we’re learning so much about our partners everyday and are always talking to new studios who’d love to join us and share in the ClassPass vision for Malaysia,” added Christine. 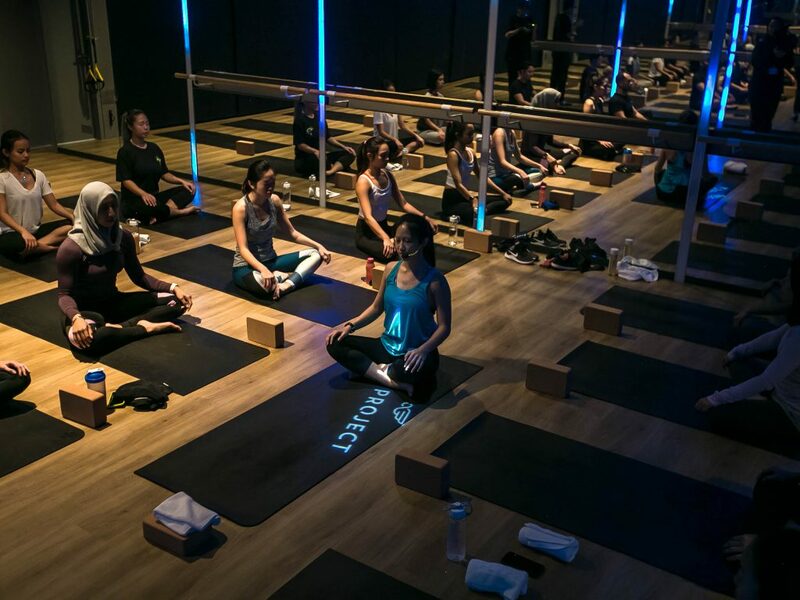 ClassPass has partnerships with some prominent studios in Kuala Lumpur such as FLYPROJECT, FIRE Fitness, HIIT2fit, The Flow Studio, and more. They currently have a bunch of fitness classes offered from a wide variety of studios for their members to choose from—Pilates, yoga, HIIT, boxing and even rock climbing. Although they’re still fairly new to the scene here, ClassPass already has big plans to establish themselves in boutique fitness studios. However, they foresee that the biggest stumbling block for them to achieve their goals here is that it will be difficult to differentiate themselves from competitors. “With the app currently being new to most of Southeast Asia, it’s important that we focus on hiring local talent who are familiar with localising the message of ClassPass to our target audience,” Christine explained. She also added that ClassPass would need to eventually have other language options for those who do not necessarily speak English as their main language. 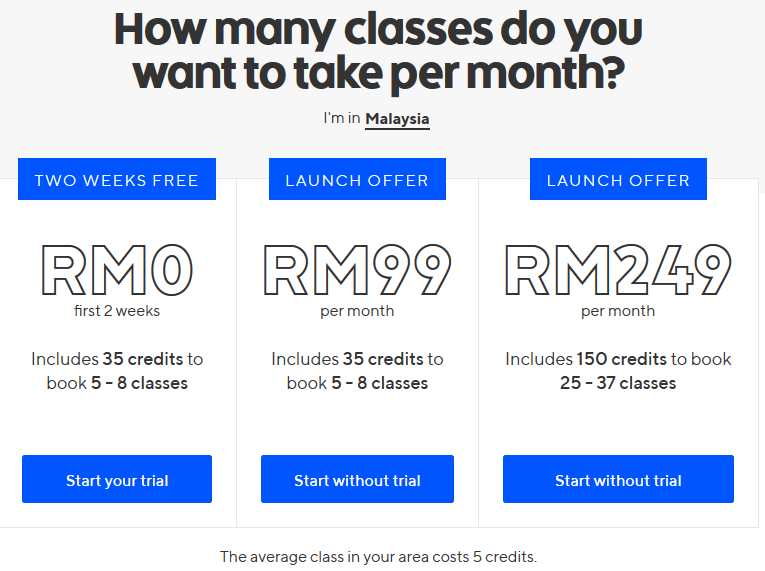 ClassPass’ best package offers RM249 for one month for an average of 30 classes which equals around RM8.30 per class. So although ClassPass might look cheaper compared to its competitors, it really depends on your usage as the more you use a particular studio, the more credits it will cost. Thus there’s really no clear “best choice” based on prices for fitness junkies, as it’s entirely up to an individuals usage pattern and whether they want to keep using the same studio or change it up. It’s great to see global companies seeing the potential that Malaysia has and want to build their business here. However, ClassPass will have to be wary that they will have to customise and localise their brand according to the local culture as Malaysians can be a picky bunch. You can download the ClassPass app on iOS devices here and Android devices here.